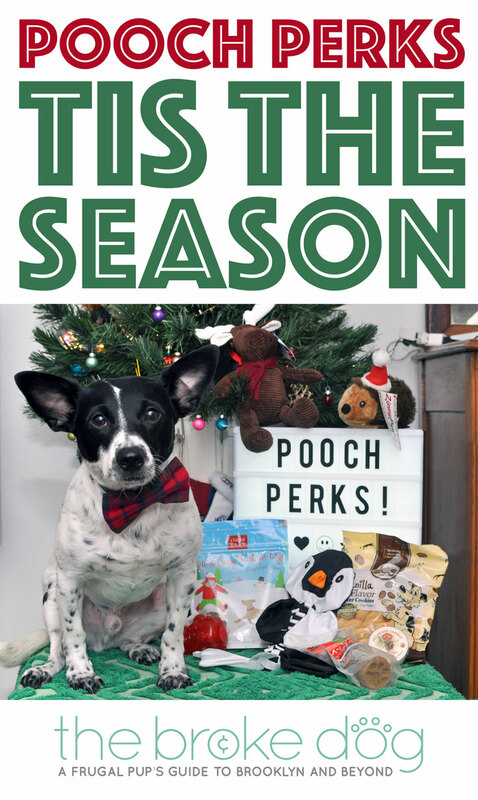 Pooch Perks Review: ‘Tis The Season! I really love to bake during the holiday season. It brings back so many fond memories of nights rolling dough and sprinkling green and red sugar crystals with my mom and sister. The problem? I’m a chronically busy person with a full time job, this blog, and a doggie bow tie business — not to mention a few too many roaches in my New York City kitchen. While I do miss the smells that radiate from the oven, I’m happy that Henry can taste a little bit of the season without the mess, lost time, and roach-delighting that would come with making him a batch of holiday cookies. It’s the next best thing! These treats are soft, made from limited ingredients in the USA, and pass the Henry taste test. Hooray for more holiday cookies! 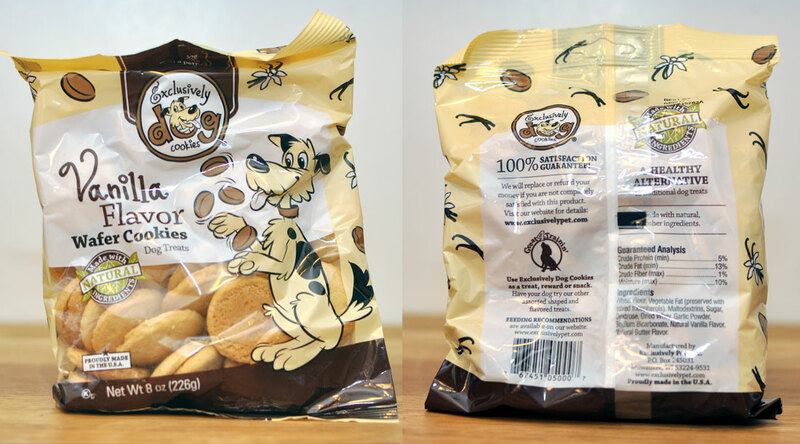 Henry loved the Exclusively Dog sandwich cream cookies that came in his July Pooch Perks box, and I know he’ll love these as well. Will there be any leftover for Santa? Doubtful. 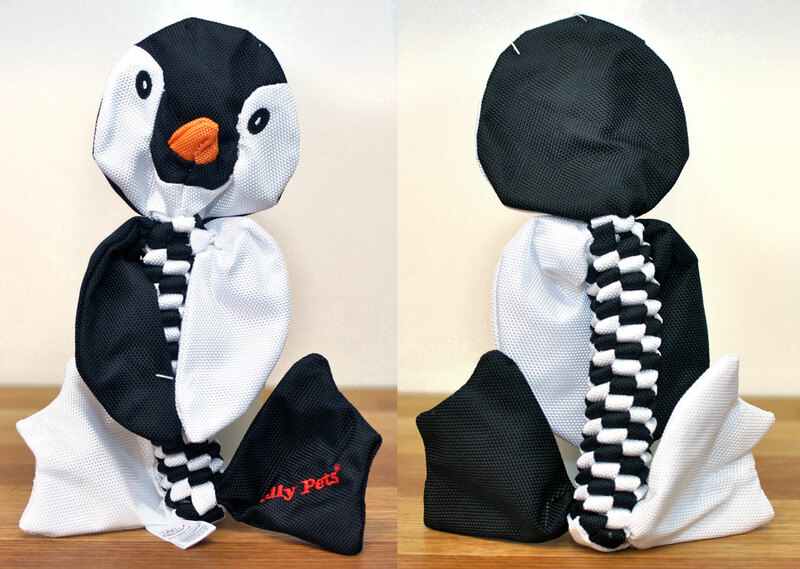 This toy will be perfect for squeaky, shake-y, toss-y Henry. Thanks to his “Let’s shake the life out of a rodent!” terrier heritage, he goes absolutely nuts over anything he can wave and toss. Without any stuffing, Henry won’t be able to “decorate” our apartment with “snow.” He’s not much of a tugger (he’s more of a “Oh, you want it? Ok, here!” guy), but this toy would also be great for that. Yay — Henry will have multiple “homemade” Christmas cookies! (Let’s keep the fact that I did not make them to ourselves, ok?) 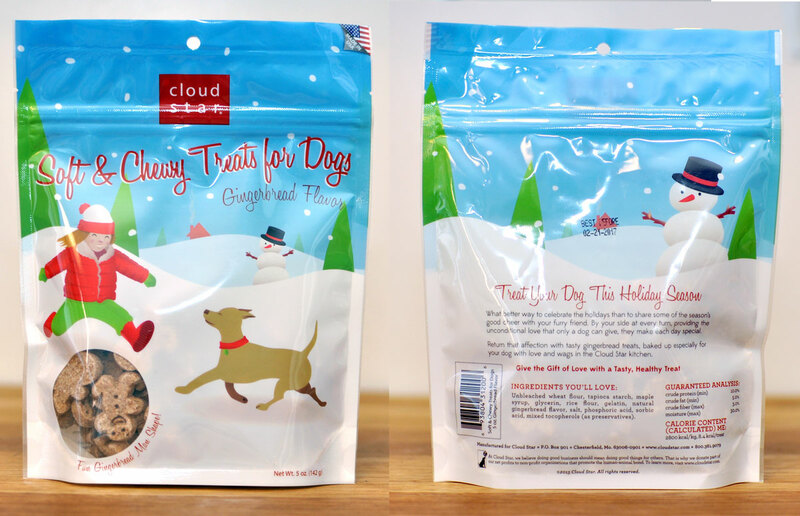 These treats are soft, which makes them perfect to cut up for some holiday season training sessions. Plus, the contain no wheat and are only available until the end of the year! This toy is from FouFou Dog, one of the incredibly generous companies that donated to our Doggie Coat Drive, so I love it off the bat! 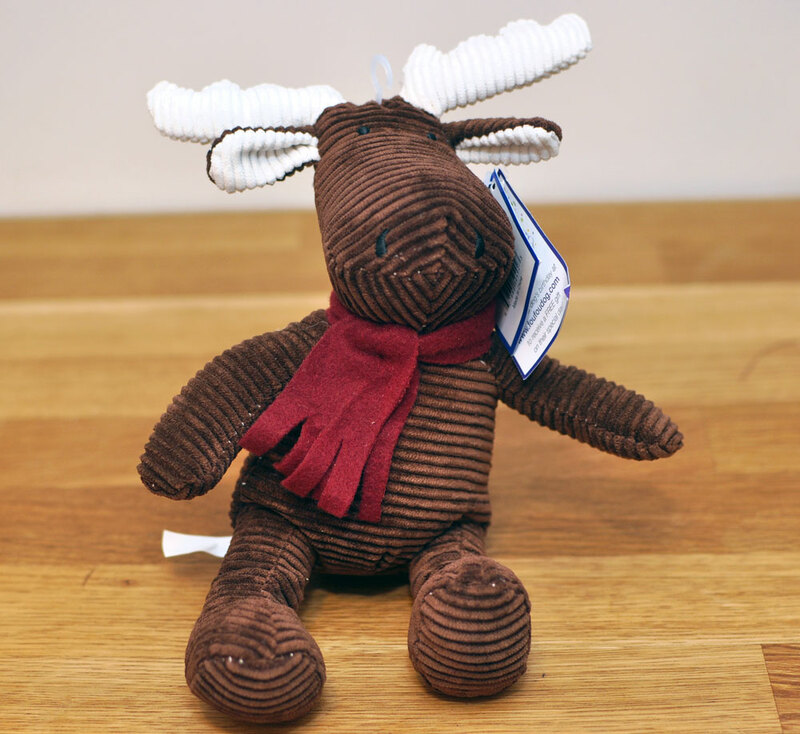 This toy is very cute and oh-so-festive. The corduroy texture sets it apart from any of the other toys in this box, and I know Henry will love that squeaker! Do you think Henry will mind if I steal this hedgehog and hang it on the tree instead of letting him play with it? It’s TOO cute! We all know I’m a big whatever-the-opposite-of-a-Mama’s-Boy-is, so I know he’ll win out and have a grand old time with the speaker and furry texture. But, seriously — how can you resist that Santa hat? Does anyone else have an artificial tree this year? For the entirety of my dorm and apartment years, I’ve used the same wimpy artificial tree that I kept in my childhood bedroom. Once upon a time, it played music and glowed from fiber optic tips at the end of select branches. Nowadays, it’s decked out in white lights and far too many dog ornaments (as if that’s even possible!). I’ll tell you one thing for sure: I miss the pine tree smell. 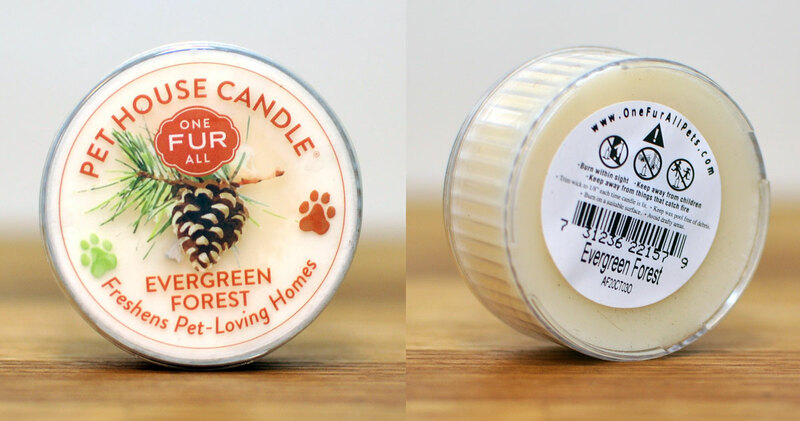 This candle’s “Evergreen Forest” scent brings me right back to the evenings my family would spend decorating the big tree in our living room. My parents just sold my childhood house earlier this month, so having an apartment that smells like Christmases of yesteryear is particularly special. There’s something about this little guy that I just love! 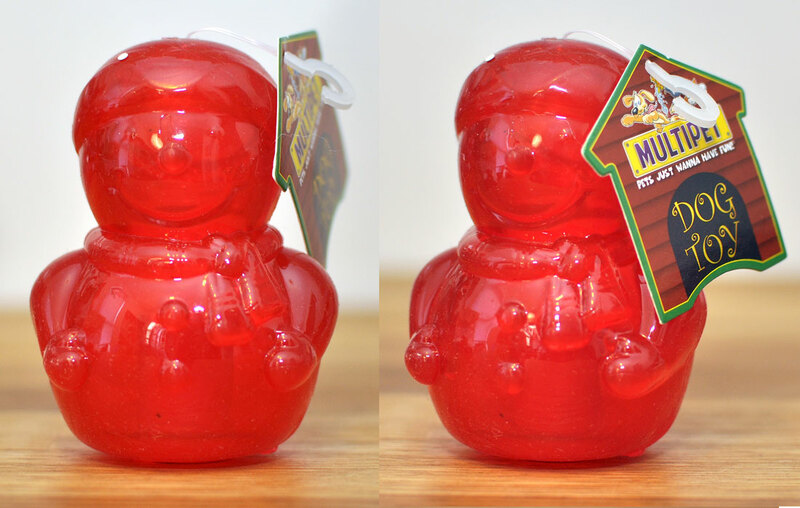 This snowman has a rubbery body and a very satisfying squeak. Plus, what a winning smile! Let’s be real, this is one of the best holiday gifts ever. You really can’t go wrong with a dog subscription box: your gift recipient will get a great selection of high quality toys and won’t know you saved a ton of money! 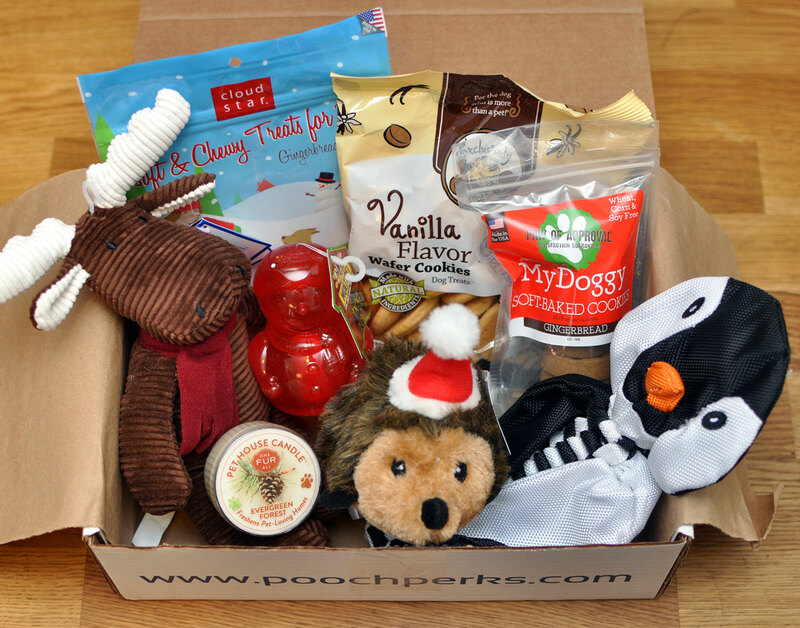 Plus, I loved that Pooch Perks included a little something for the humans (the candle) and packed the box full with seasonally-themed items that will help even the Scrooge-iest of dogs get in the spirit. Remember — for a limited time, you can save 50% off a six-month subscription with code 50OFF! Now THAT’s a great gift! 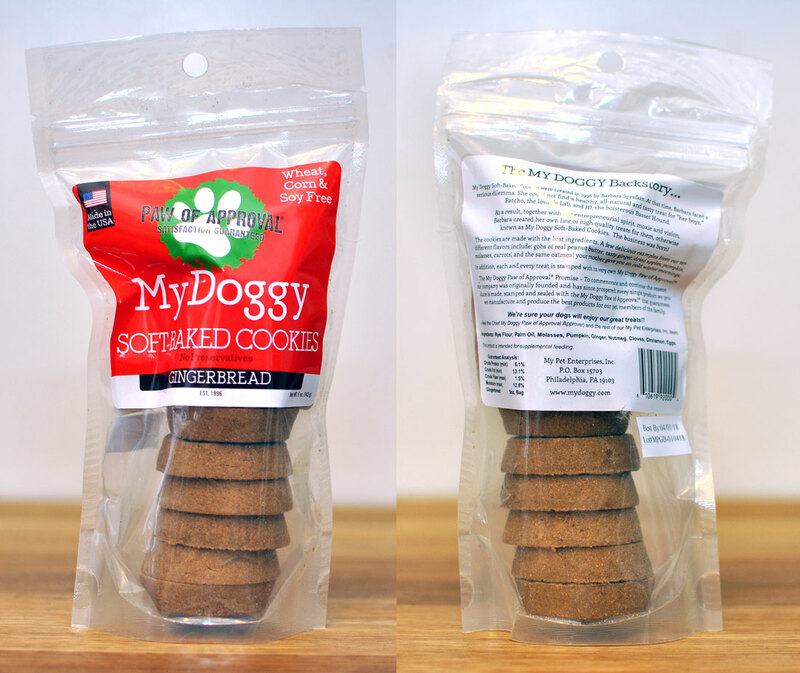 READ ANOTHER POOCH PERKS REVIEW HERE! VISIT THE POOCH PERKS WEBSITE, GIVE IT A TRY, AND TAKE 50% OFF WITH CODE 50OFF FOR A LIMITED TIME!